Have a difficult Ex who won’t cooperate? in the bank, how successful you are or how much you love your kids. There’s really nothing that prepares you for divorce. Let’s face it parenting all on its own is tough. When you add divorce to the mix, it feels like everything (and I mean everything) comes undone. Hands down one of the hardest parts is watching your kids hurt. And when they’re hurting, it’s tough not to feel completely responsible and guilty over being the ones who have caused their heartache. In short, coaching is a partnership between me and you. While we may dig deep, unlike therapy, we won’t spend time taking apart the past. It’s a chance to put the oxygen mask on yourself so you can gain immediate support, insight and feedback. Coaching helps you re-connect to your best self so you can be the parent your kids need during this very tough time. We’ll focus on what lies ahead, how to get life back on track and figure out what it will take to create a new normal for you and your kids. Issues addressed in my practice. We meet by phone. Where we start is up to you. While every situation is different, usually the parents I work with fall into two categories. Once you decide to work with me, we schedule a mutually convenient time to meet by phone. During the first phone call, we’ll spend some time discussing what you want and what you can expect from me. Together we will identify roadblocks and develop strategies for dealing with those issues. The next step involves taking action. At the end of the session, you’ll leave the call with ideas you can put into practice as soon as you hang up the phone. While my professional background is diverse, coaching sessions are not designed to deal with therapeutic issues. I also don’t provide legal advice or testify in court. Getting the right kind of help is important. If you have additional needs or if I feel another coach or professional would be a better fit for you, I won’t hesitate to recommend other options. I have 20+ years of experience working as a coach and parent educator. My background includes dealing with a wide range of divorce related issues such as: beginning stages to years down the road, dealing with discipline differences, coparenting, parenting plans, single parenting, long-distance parenting, high-conflict situations, parent alienation, personality disorders, helping children transition between two homes, dating after divorce , blending families, remarriage, bonus parenting, late in life divorce, adult children of divorce. Coaching is an investment in you and in your kids. Unfortunately, I have worked with lots of parents who put a tremendous amount of faith and money into the legal system. For most, the end results were incredibly disappointing. Many found once the ink dried on their decree, real life kicked in and they got hit with a whole lot of issues they weren’t prepared to handle. 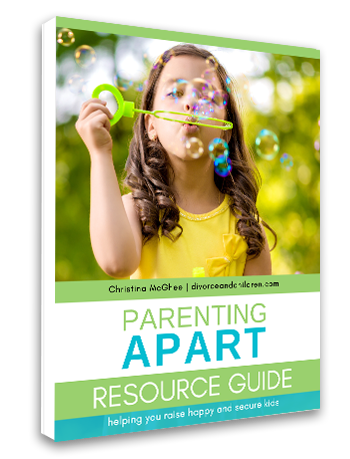 Coaching is designed to help you deal with all of the nitty-gritty, real-life parenting issues that you’re facing right now. where it belongs… on their kids. Investing in coaching is $150 USD for a 50 to 60-minute session. One-time coaching calls or joint co-parenting sessions are $200 USD for the first 60 minutes. Additional time for all sessions is billed in 15-minute increments. Between sessions, if you hit a bump in the road and need to touch base with me, I offer “light support” at no extra charge. This might be by email, text or involve scheduling a brief telephone call (15 to 20 minutes) to sort through the issue. Hop on over to my FAQ page and see if your answer is there.